When I turned 16 I remember it was uneventful, but pretty special because I was growing up. My family and I had dined out at our signature birthday dinner place Chili’s, and that was it. That summer I had my first “boyfriend” for two weeks and six days (I kept count haha). But not too soon after being wooed I saw him kissing plus walking hand and hand with another girl in the neighborhood. I randomly was passing by a street while on the trolley going home from school and there he was. I was able to get a good view since a passenger had rung the bell for the 52nd street stop. It sounds so dramatic now but in that moment I felt heartbroken for some reason. During our phone call later on that day when I asked him about it he said and I quote, “Oh, her? Naw, she’s gay.” My 16 year old self knew it was a lie and it bothered me that he had a nerve to date two girls at once. My guess is I wasn’t moving fast enough for him. Plus he told me that I never wanted to come over his house and “chill.” Looking back I find it funny that I expected a hormonal 16 year old boy to be “faithful.” I mean like, we were kids, it wasn’t that serious. But often I love hard and I put a lot of emotions into things that may seem unimportant. So in turning 16 I learned what my boundaries were and staying true to what I thought was right. 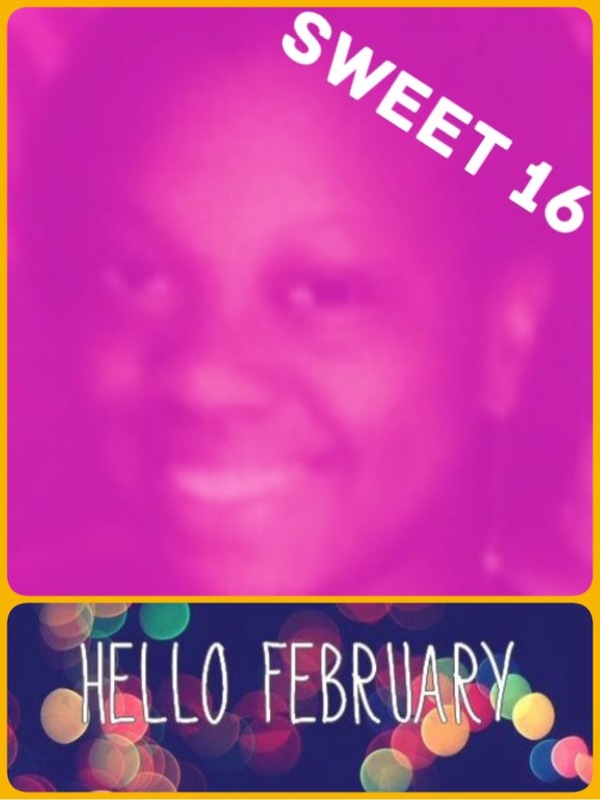 Fast forward to present day I want to embrace 16 in a new way, making this year of 2016 amazing, heartfelt, and filled with love! So, in order for me to keep the positivity going I have to take charge of my wellness and RESET: Rest, Empower, Savor, Engage, Think. I said a prayer this past Sunday morning asking God for guidance as I RESET. A new month has arrived and it feels like a new chance to get past my fears and things that were hurtful to me. No sense in delaying progress. I’m not 16 anymore. But today and everyday I feel more confidence that 2016 for me will be filled with a sweetness of growth and standing my ground. I’d like to think my younger self helped to prepare me for the greatness I am capable of. And while I didn’t have a big party when I turned 16, I now realize no matter what, a celebration of life (even if it’s at Chili’s) is pretty sweet. Tap the “Love” section for some food for thought on my self-love journey! This entry was posted in Uncategorized and tagged new year, sweet 16. Bookmark the permalink. Awww cousin I’ll be praying that God, continue to bless you in all that you do.